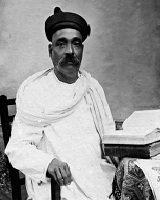 Bal Gangadhar Tilak 23 July 1856 1 August 1920 Indian Shri Gangadhar Tilak Paravti Bai Gangadhar Journalist, Activist, Lawyer, Teacher A journalist, teacher, social reformer, playwright, and lawyer. He was also a political extremist and a popular leader, who fought for Indian independence during the Indian Independence Movement. A list of popular bal gangadhar tilak quotes are given below.